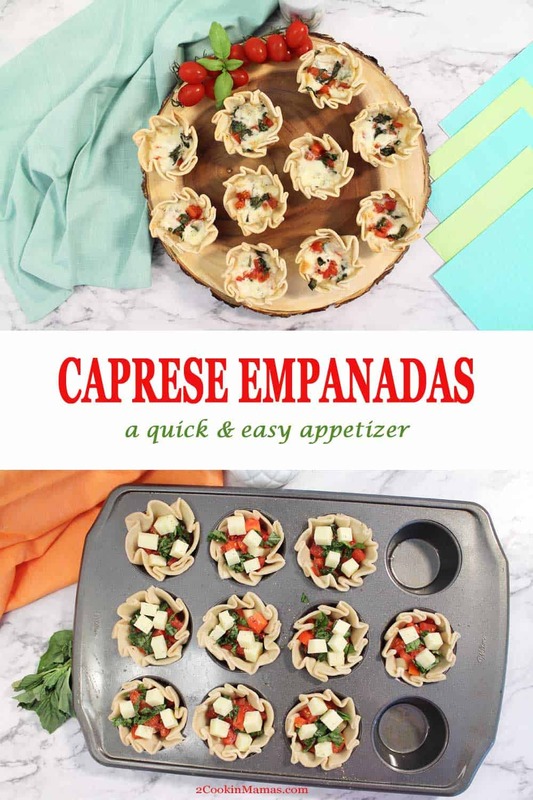 Caprese Empanadas are delicious, easy to make appetizers made with all your favorite caprese salad ingredients. 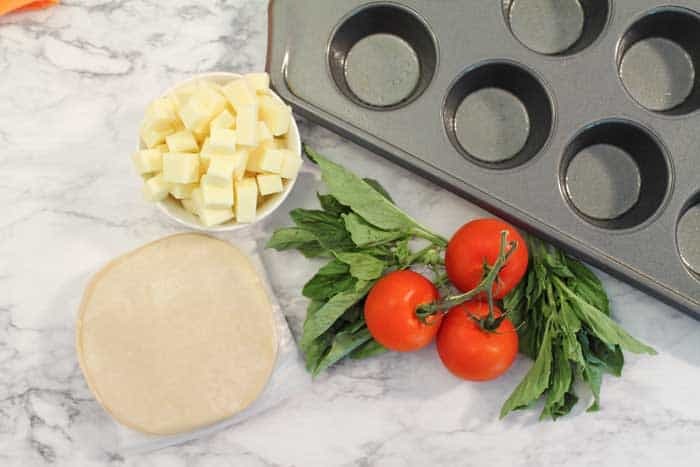 Tomatoes, fresh basil and mozzarella cheese fill a premade empanada shell and simply baked in a muffin pan. Warm and tasty handheld open-faced empanandas great for game time, summer parties and barbecues. I like to think of these appetizers as a blend of my favorite Italian and Spanish flavors. 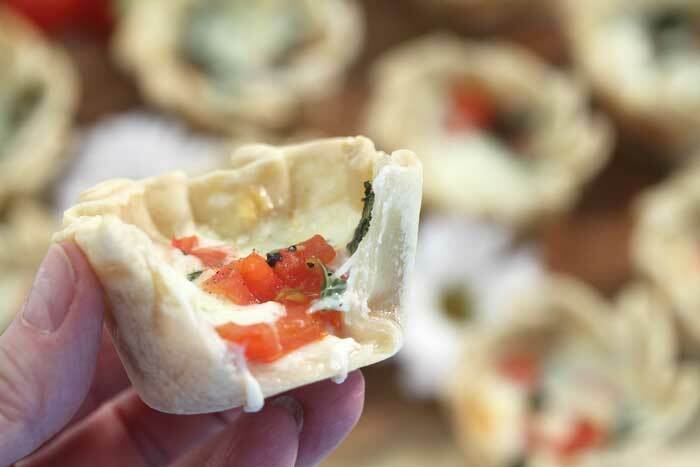 Fresh tomatoes, basil and mozzarella cheese, the base of a delicious caprese salad, fill a traditional empanada shell. And I love caprese salads! These empanadas give me another way to share all those fresh flavors in a neat little package. I also love empanadas! 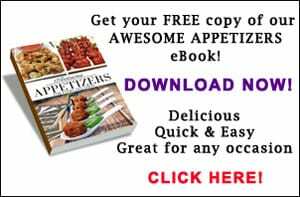 They are one of my favorite apps to order in a Spanish or Latin American restaurant. 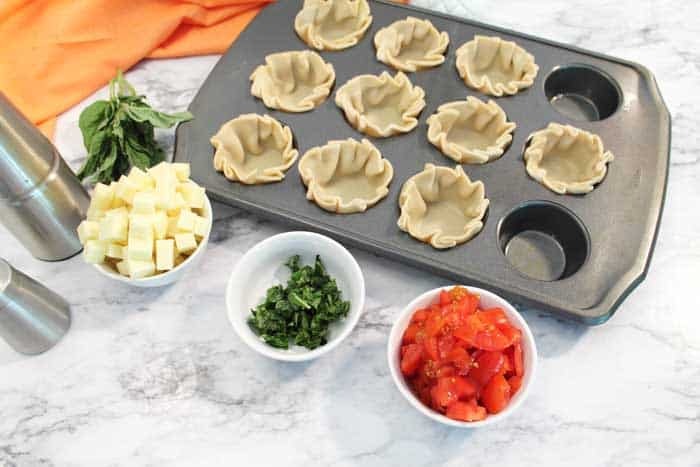 These empanadas are not made in the typical pocket style but pleated into a cup shape, filled, then baked in a muffin pan. 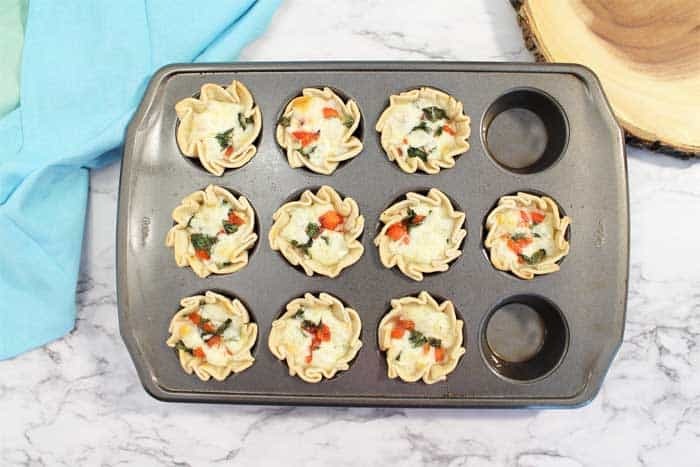 They have that same crispy exterior, similar to a pie pastry, with the added flavors of melted cheese, fresh basil and tomatoes. It’s the perfect open-faced Italian-Spanish Empanada! What exactly is an empanada? The empanada originated in Spain and is derived from the word “empanar” meaning to coat with bread. 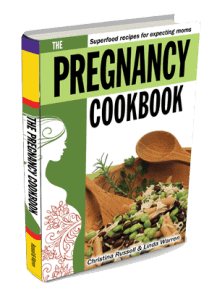 It is wildly popular in Spain as well as Latin and South America. The pastry is made of wheat flour, although it can also be composed of corn meal, mashed plantains, potatoes or yuca, and usually filled with savory fillings. 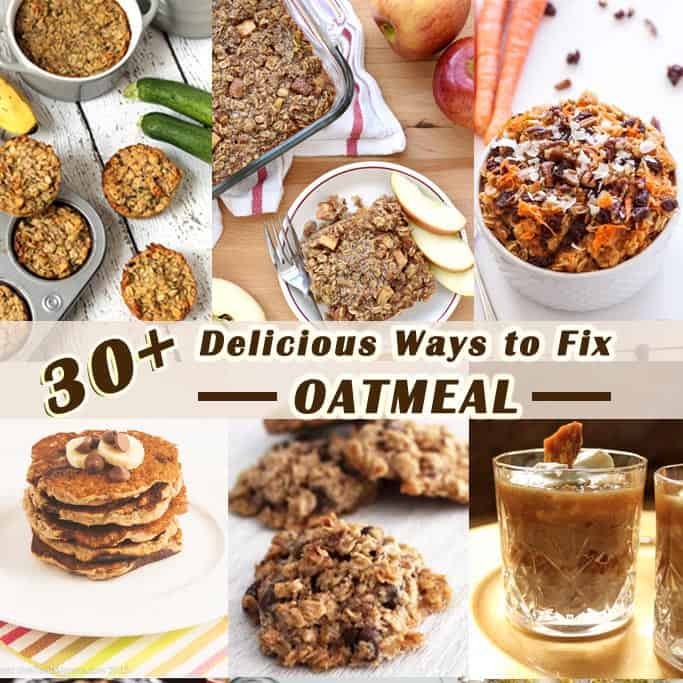 They can be served for breakfast, lunch or dinner as well as a sweet version that is particularly tasty for dessert. These are an easy last minute appetizer to throw together using packaged empanada discs. Gather the 4 ingredients – tomatoes, fresh basil, mozzarella cheese and the empanada discs. Pleat one disc of empanada dough into a a muffin cup sprayed with nonstick spray. Gently pleat the outside edges of the dough so that it fits neatly into the muffin cup. Press the pleated edges into the sides so the cup holds its shape. Repeat with remaining discs of dough. Chop the tomatoes, draining off excess liquid. Break apart or chop the basil and dice the cheese. 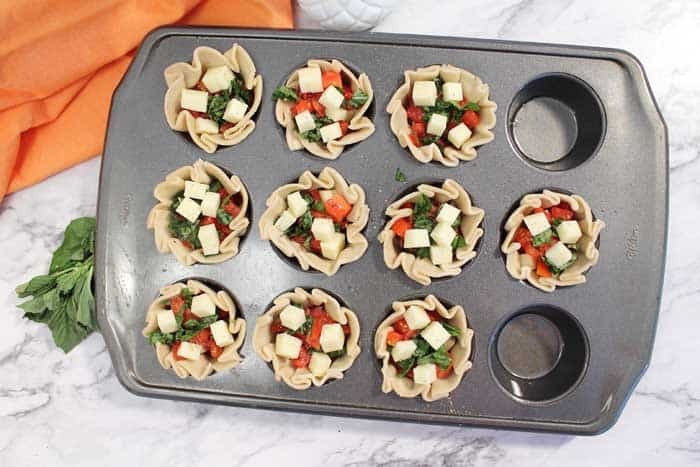 Using half of the mozzarella, divide evenly and place cheese cubes in bottom of each empanada cup. Divide chopped tomatoes evenly and fill each cup. Sprinkle basil over the top of tomatoes. Divide remainder of mozzarella cheese evenly and place on top of each empanada appetizer. They’re now ready to pop into the oven and bake at 425 degrees for 15 minutes. Voila! Caprese Empanadas! Let cool slightly for 5 minutes then gently lift out of muffin pan and plate for serving. These empanadas make a beautiful presentation and they taste as good as they look! They can be drizzled with a little balsamic vinegar and olive oil but I prefer them just the way they are. I’m dreaming of biting into one right now! Look at all drippy cheese that oozes out with each amazing bite. Enjoy! Caprese Empanadas are delicious appetizers full of Italian-Spanish flavor. Tomatoes, basil & mozzarella baked in an empanada for easy summer entertaining. Preheat oven to 425 degrees. 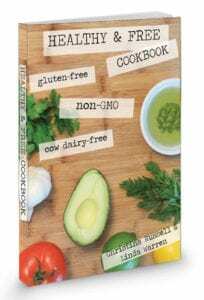 Prepare a muffin pan by spraying with nonstick spray. 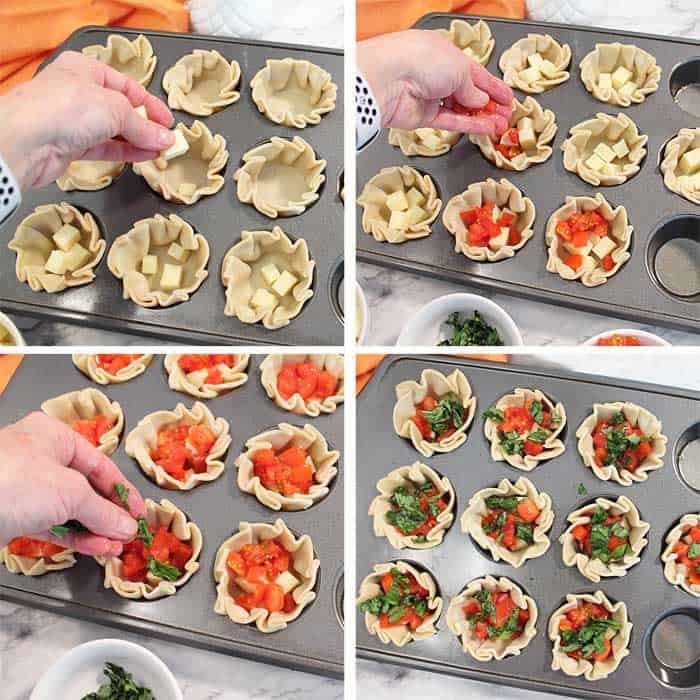 Taking one empanada disc at a time, pinch edges into small pleats to make the shape of a small bowl. Press these pleats firmly against the edge to hold the shape. 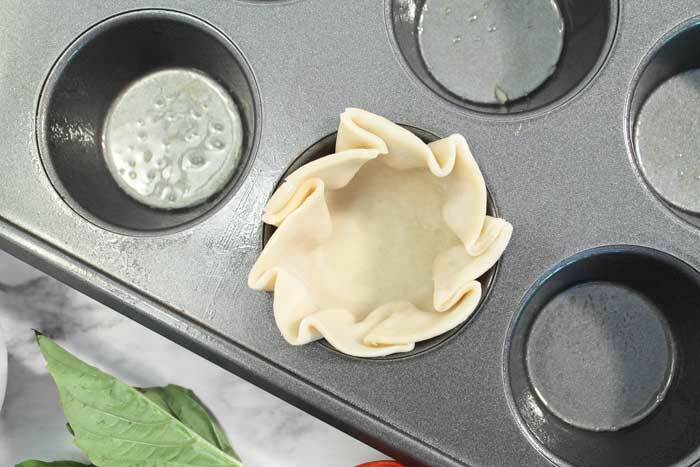 Place into muffin pan and cover with a slightly dampened paper towel. Continue with remaining empanada discs. 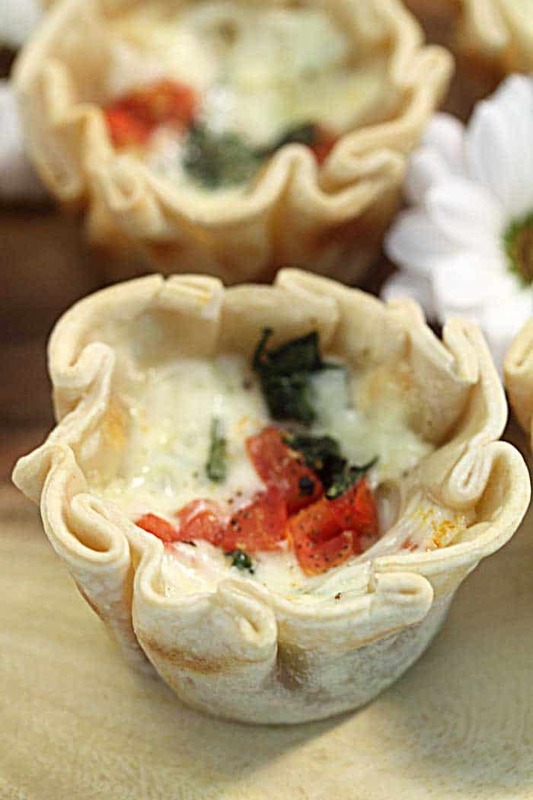 Divide 3 ounces of mozzarella evenly between the empanada bowls. Add the chopped tomato and basil. Sprinkle them with salt and pepper to your taste. Bake in preheated oven for 15 minutes or until empanadas and cheese are browned. Let rest 5 minutes then serve. Fusion of two cuisines makes this cute little appetiser so exciting !! Sounds like a perfect crowd pleaser to me. Definitely! I should have made twice as many they went so fast. I could seriously eat these for breakfast (put an egg on it), lunch (with a side salad) and dinner (with a glass of wine)! What great ideas! Now I want to make them all over again! I love that you have fused two cuisines for this. They sound lovely and light! Thank you. 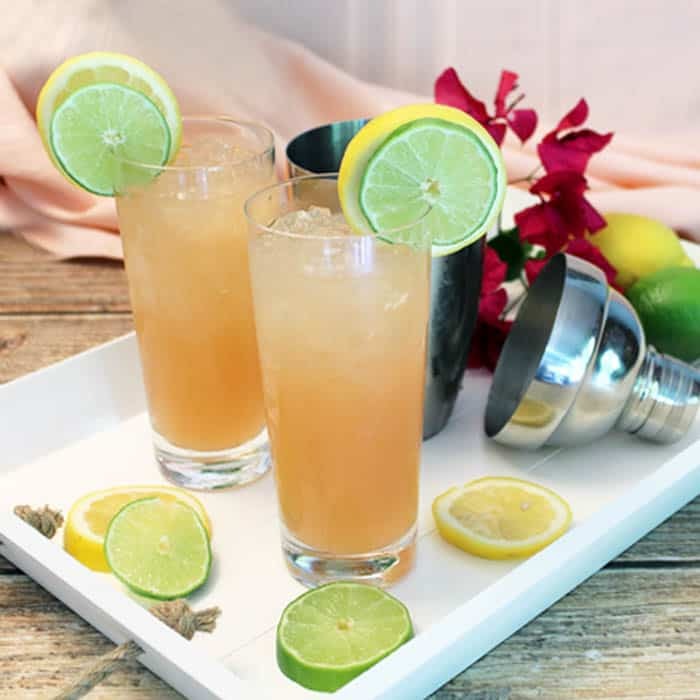 They’re perfect for the spring and summer parties ahead. 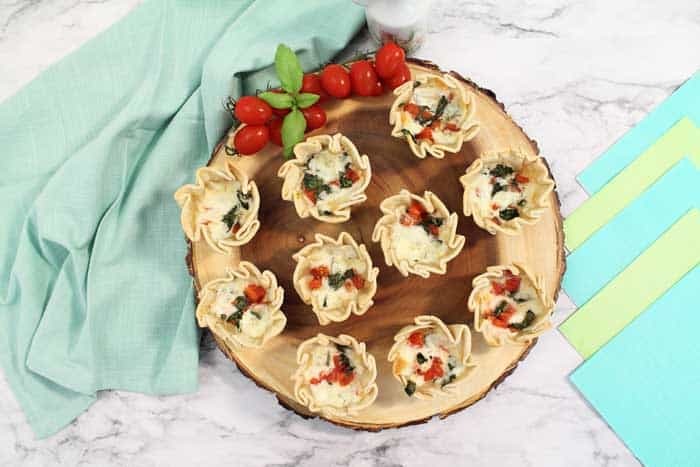 What cute little appetizers that look so much harder to make than they are! 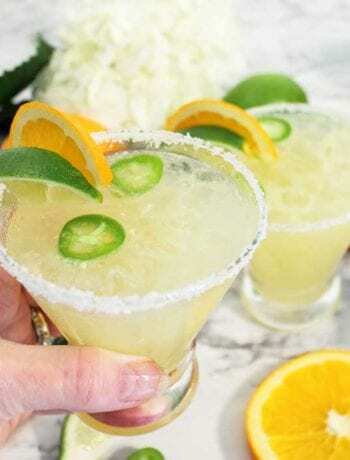 Bookmarking these to make at my next gathering! Let me know if you give them a try. They’re always super popular at our get-togethers. I loved it! Really tasty! 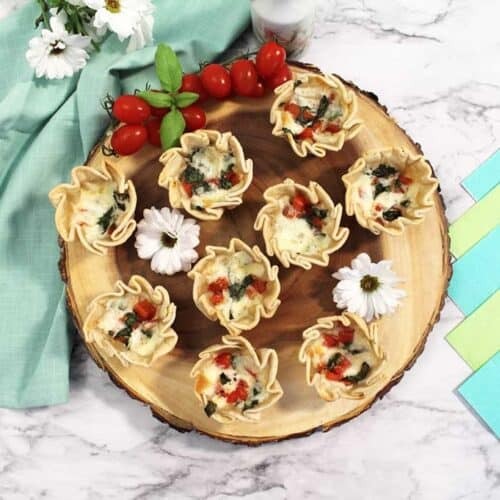 Perfect appetizers for parties! Thanks so much. So glad you enjoyed them!